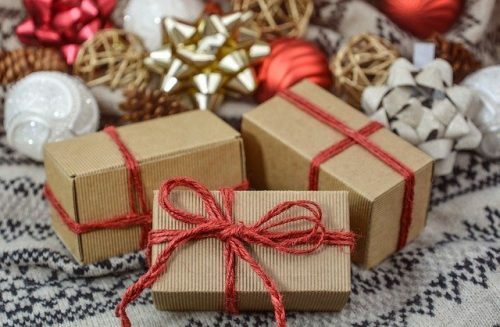 Find out the challenges a corporate gift supplier faces to provide the right product range for businesses to personalise and create a lasting brand loyalty. Singapore, Singapore - January 31, 2019 /MarketersMedia/ — From pens and notebooks to portable chargers, everyone loves a useful gift that is utility-driven. Today, brands have to emotionally engage clients through marketing efforts that will connect them with the targeted audience. Companies are increasingly turning to corporate gifts wholesale, to provide tangible benefits and visual appreciation to employees, clients and prospects. Corporate and promotional gifts enable brands to feature their logo and build an emotional engagement to create brand loyalty. It will convey the right message to your employees and stakeholders who are invaluable to the success of your business. A Singapore entrepreneur set up, Wholesalegifts.com.sg is currently in its 10th year in business as a local corporate gifts supplier. The product range is suitable for any occasions and budget, offering items from premium goods to eco-friendly products. They also extend their services of procuring and supplying corporate goods to providing sourcing services as well. Despite the growing popularity of personalised promotional gifts, this business is no exception to the challenges faced. One such obstacle is to stay ahead and up to date with the trends and needs of today. To make the product catalogue relevant, they offer novelty gifts to practical everyday items that continue to be purposeful. People want more than just traditional items such as lanyards and diaries, as the growing demand focuses on gifts that are more unique and premium. For senior level gifting, products like leather goods and travel gear are more popular to make the right impression. To keep up with today’s times, tech products and gadgets are highly relevant such as USB fan, travel adaptors and flash drives. They can all be skilfully branded, customised and packaged to suit any corporate client. Another challenge comes from being in the digital area. Online marketing efforts will need to take a different approach to achieve maximum outreach to customers and expand online brand visibility. One way is by educating and sharing knowing about corporate gifting through regular blog postings in the Wholesalegifts.com.sg’s website. By leveraging blogging, they have a higher chance of increasing the client base when potential customers browse the website and find useful information. Over the years, the company has grown and overcame these challenges as they stayed on top of innovative ideas and ensuring prompt delivery to the satisfaction of customers. With their extensive experience and knowledge on corporate gifts, they can also brainstorm new ideas in customising and personalising corporate gifts for a client. The team at Wholesalegifts.com.sg has worked with many companies across a huge variety of industries and catered to their needs, and has grown to become the most reputable corporate gift supplier in Singapore.